Save 20% on some of our best selling books when you purchase them as a bundle!! "Twice Upon a Time" is a set of baby memory books written just for twins. They are unique in that they tell a fairy tale, combined with the tale of Mommy's pregnancy, her twins' birth, and first three years of life. 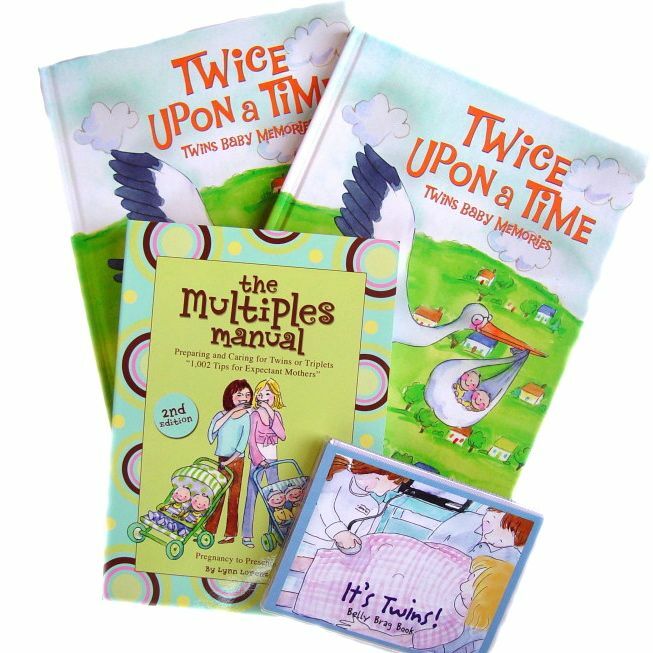 The books include simple, cute comparisons of the twins and also address each child as a unique individual. Full of colorful, adorable illustrations, one of the nice features about this set of books is that it's VERY EASY to fill in the details. Much of the work is already done for busy parents, with lots of "check-the-box" options. Don't get us wrong, there is SOME work to be done, but it's not overwhelming! 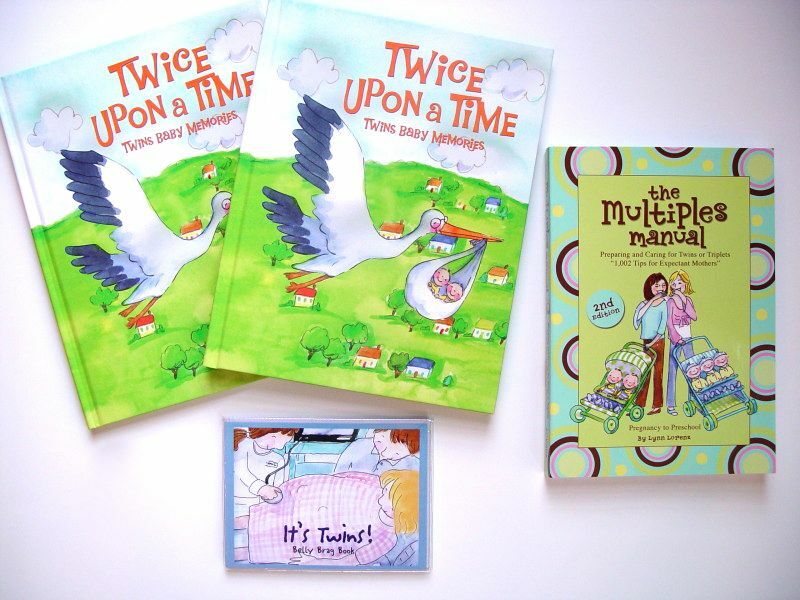 All of these books are unique to JustMultiples.com and sure to keep you busy while waiting the arrival of your twins! !